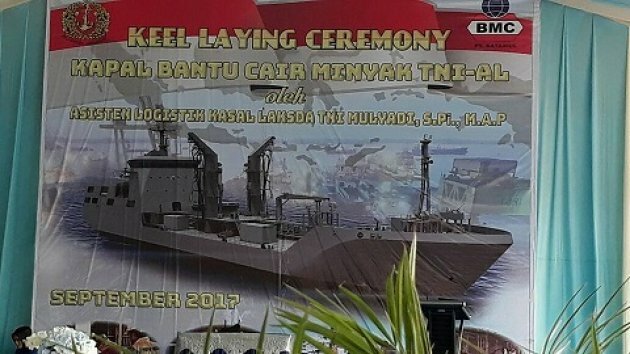 Terafulk Ship Design attended keel laying ceremony TNI AL Fleet Tanker at PT Batamec Shipyard, Batam. The Ceremonial held on Friday, September 8, 2017. This Fleet Tanker, design by Terafulk Ship Design and build by PT Batamec Shipyard.